We’re back this week and it’s the show we can only do once every five years. 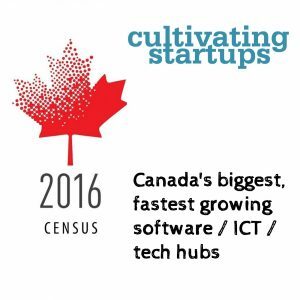 What are the fastest growing tech/ICT/software centres in Canada? You’ll see rankings like this all the time, but we really only have good data on this every five years when the Census numbers come out. And they just came out and we go through them on this week’s show—while also looking at why it’s not as simple to come up with these rankings as you may think. So, there’s a lot of Waterloo in these rankings, and plenty of Toronto, Vancouver, Ottawa, and Montreal—as you’d expect—and Fredericton and Windsor and London and Saskatoon and many others from coast to coast—from Nanaimo to St. John’s. We can’t do this again until 2022! It’s a show packed with top 5 rankings. And you can follow along with these tables for most of the rankings discussed on the show, along with details of which industry (NAICS) and occupation (NOC) codes were used.